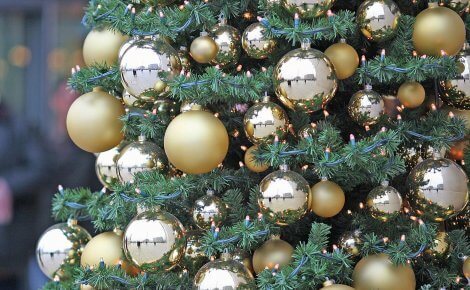 Dispose of Your Christamas Tree :: My Cleaners London - Only professional cleaning! Dispose of your live Christmas tree in a safe, environmentally-friendly manner using these tips, and get ready for a fresh start in the new year. Don’t wait for your tree to dry out before removing it. As trees dry out, they become more likely to cause house fires. 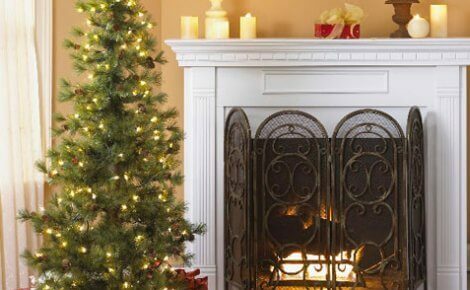 First, remove the tree stand, tree skirt, all ornaments and lights before throwing out your live Christmas tree. Have a bucket or other large container nearby to dump water that may have collected in the tree stand. Next, use a large, plastic tree bag to cover the tree before removing it from the inside of your home. You can also use an old blanket or sheet to wrap around the tree. This will prevent needles and sap from making a mess on your carpet or hardwood floors. Finally, carry the tree to the curb, making sure not to obstruct any roads or sidewalks. Arrange for pickup by your local yard waste management program if you don't already have this service. Dry trees begin to drop their needles, creating a larger mess for you to clean up. Sweep up scattered pine needles with a broom instead of vacuuming. Needles can clog and damage vacuum cleaners. Check for water damage to your flooring after removing the tree. Overwatering during the holidays may have caused water to spill over or collect at the base of the tree stand. If there's water damage, clean and steam carpets to prevent mold buildup. 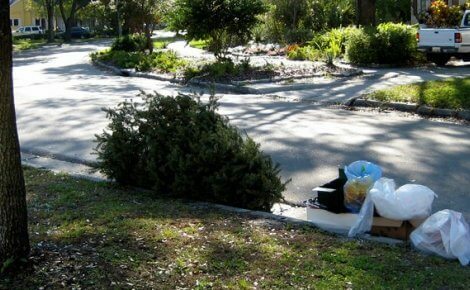 Many communities offer curbside pickup of Christmas trees after the season is over. Check with your local county waste management department for specific guidelines. Clean the tree of all ornaments, tinsel and lights. Cut the tree into 4 ft. portions for easy curb pickup. Cut smaller trees into chunks to fit inside your yard waste container. Also, check with your local recycling center for free drop-off locations. Oftentimes these centers will chip and shred your tree for use as mulch or as part of soil erosion programs. Your Christmas tree mulch can be used as an erosion barrier for lake and river shoreline management or as soft bedding for parks and playgrounds in your community. With a little imagination, your Christmas tree can be used for a multitude of purposes after the holidays are over. Pond Feed — Sink pieces of your tree into a backyard pond as a refuge and feeding area for fish. Decorate — Cut pieces of this year’s tree to use as ornaments on next year's. Thin slices of the trunk create a blank canvas that can be decorated and then strung with a piece of ribbon. Bird House — Stand your tree or a few of the larger branches in your yard as an organic feeder and sanctuary for birds. Place pinecones filled with peanut butter and birdseed in the branches along with strung popcorn and fresh orange slices. The birds will appreciate the food, and you can enjoy some great winter bird-watching from your window. Coasters — Cut and treat discs from the tree trunk to use as coasters. Mulch — Chip up the trunk and branches to create mulch for your garden come spring. You can also place entire branches under trees and shrubs as temporary winter mulch.